The Trainer – Suzette Sontag | Smart Start Stable, Somerset Wisconsin, U.S.A.
Suzette and Ed Sontag own Smart Start Stable. 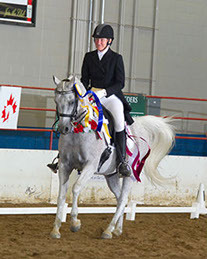 Suzette is a USDF Silver Medalist and trainer at Smart Start Stable and has had a life long passion for horses. After Safarr +// came into her life, she began a search to find just the right method to solve both of their training and learning issues and found the answer in “Natural Horsemanship”. 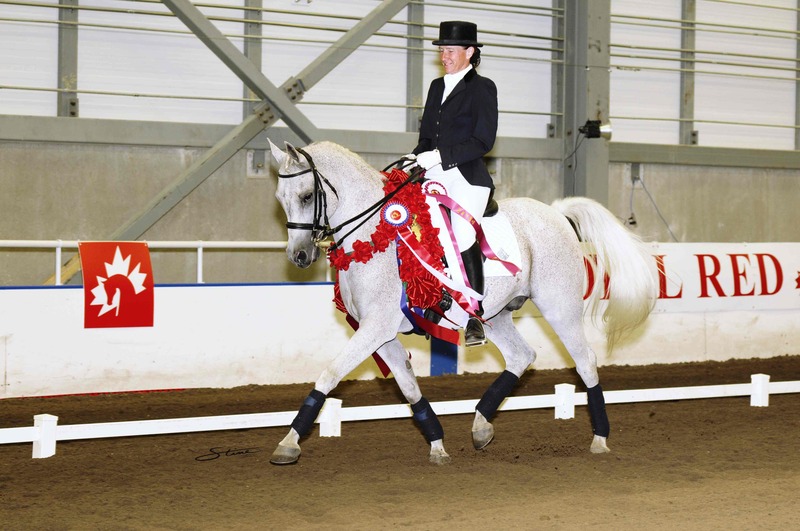 With a love of Dressage, she was able to bring Natural Horsemanship and Dressage together to create ‘Smart Horsemanship’ to train and develop her horses. It’s a wonderful fit making for contented horses that give her everything they have, happily, when riding, both in and out of the show ring. Suzette has achieved wonderful success with her training, riding and showing, which includes earning her USDF Silver Medal, winning 2 National Championships, 11 Reserve National Championships and 21 National Top Tens in dressage at the Arabian National Championship shows, along with 20 Regional Championships, 10 Regional Reserve Championships, 16 Regional Top Fives and many top ranked year end awards with USDF. 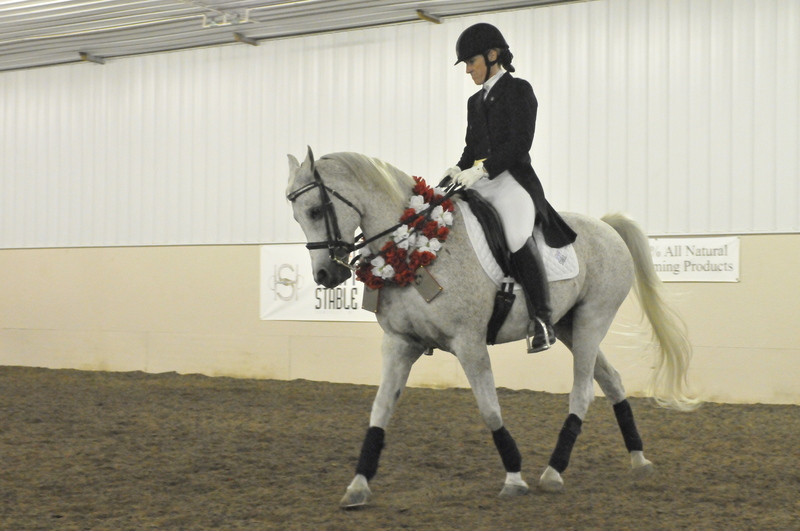 Suzette shows Arabians, Warmbloods, and other breeds at open dressage shows and has many scores above 70% with all breeds. From groundwork to finished product, below is a photo of them after finishing their test at the USDF Regional Championships. For the 2016 year Krystal and Suzette had 8 scores 70% or higher, 4 of which were 75% or higher in Training Level! Krystal couldn’t be more pleased with herself. Suzette has ridden successfully to Prix St Georges level and in 2003 decided to share her experience professionally with the community. Suzette believes that the winning is wonderful but the journey with the horse is the most important part. If the horse isn’t happy and loving it’s job none of it is worth it. It’s about the team of horse and rider, first and foremost.